A lively and flavoursome sauce inspired by Jamaican cooking and Jamaican jerk spices, this sauce will inspire a fun-filled meal, perfect for casual entertaining. My husband has an addiction to Jamaican inspired food products so he was stoked I got this to review. Add in the fact that BBQ sauce is a must have in our home, it&apos;s like a dream pantry condiment to him lol We eat a lot of sauces here. Used as is, added to dishes or as a marinade. So I know when I pay for sauce products that won&apos;t last long as will get used lots. I personally loved this. I loved the flavor, the sharp kick to it, it complimented everything I tried it with: chicken in wraps, hot chips, fish, and as a Marana for lamb. No matter what I decided to use it with it never lost its flavor or colour. It&apos;s just a really nice addition to your plate and hubby fully agreed. It&apos;s a great product. Didn&apos;t last a week though lol but that was because of using it as the marinade, which by the way, it coated the lamb beautifully and cooked really well. Definitely a product I would buy again. Once the meat and chips are served up, accompanied by the usual salad (on this occasion, a horrendously expensive avocado and herb mix), the next challenge is to make all that singed and/or dry food become palatable. And that is where a good sauce comes in. It needs to be reasonably runny (to address the dryness), not too acidic (so that the burned bits are neutralised), and tasty without taking over the already smoky flavour of the meal. This sauce fitted the purpose to perfection. It added another dimension to the meal, contributing its own smoky flavours to those already present and helping the drier pieces to become more palatable. It even mixed well with the avocado and herb mixture which already had a light lemon and sesame oil dressing on it; the two sauces combined quite happily to make a new taste experience. At the start of the meal, I had the components in separate piles on my plate; by the time I was a third of a way though, I had mixed the lot together into a less visually pleasing but very tasty muddle! I felt that the price was reasonable for a bottle this size. I did not need a lot, although I was tempted to add a splash more to the last of the chips because I was really enjoying the combination. My two friends (the designated cook and his partner) also enjoyed it, but because their reactions were almost identical to my own, I am not going to quote them separately. Besides, most of their comments were muffled through mouthfuls of food. I can see lots of potential in the uses for this sauce. Because I frequently eat out (at friends&apos; houses) I am exposed to many different styles of cooking, and am then inspired to try out some of the new recipes I have discovered. 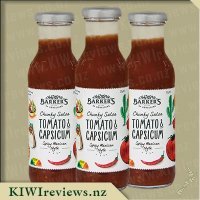 Many include ingredients not readily available in New Zealand but often this problem can be addressed by the judicious addition of a locally made sauce. The next combination I plan to try is with corn and okra tempura, which I last had with a plain barbecue sauce and thought could do with a little more spice added. This sauce has more zing, so I can see it working well. I wanted to try this BBQ Jerk sauce because I had been introduced to another Jerk sauce on a burger. It had been spicy and delicious. I don&apos;t know what they had used, but as soon as I saw this Jerk sauce available to review I wanted to try it. 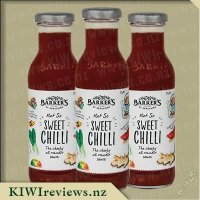 In my experience Barker&apos;s know how to make a good sauce and so I felt safe picking up a bottle of this new flavour. The first thing I did with this sauce was serve it over cream cheese with crackers to friends. I had only had it a day, so I wasn&apos;t really sure what I would do with it at that point. On first taste I thought it was a good flavour. It was hot and spicy but not overpoweringly hot. It made me crave hot wings or pork ribs. My husband agreed with me on that and we plotted to have chicken wings later in the week. One of our friends thought the sauce had a good classic BBQ flavour. They described it as sweet, with a touch of sour and a pepper after taste. Another friend likened it to classic HP sauce, mainly because of the sweetness. Paired with the cream cheese it was a nice change from sweet chili sauce. Later in the week we tried chicken wings marinaded in this jerk sauce. This worked so well and was exactly what we had been drooling for when we previously planned the wings. This would be just as good with pork ribs though. I also put some on macaroni and cheese for a change in flavour and that was really good as well. I can see that we will use this a lot coming into summer. With BBQ season and burgers to grill, I will definitely be looking to get more of this sauce. In the meantime though, I will finish off this bottle and dream of warm weather at every taste. Having tired a few of the Barker&apos;s sauces I was very keen to give this barbeque jerk sauce a go. I was excited when it arrived in my review pack but couldn&apos;t quite decide how to try it first. 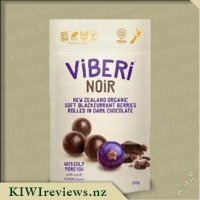 Knowing the other reviews usually give some feedback on different ways products have been used I came and read some previous reviews. 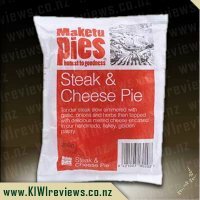 One review talked about trying it on cheese and crackers - this wasn&apos;t something I would have even considered but I did have crackers in the cupboard and cheese in the fridge so this was the way I decided to give it a go! I am usually not much of a spicy fan and was a little concerned with the words "with lively Jamaican heat" and the little heat meter reading as medium. However being keen to try a few more spicy things I gave it a go. I popped a little bit on a cracker and put a piece of cheese on top and down it went! I was pleasantly surprised. The smokiness was what hit first - it is absolutely beautiful. Then came the heat. But it was a nice amount of heat. Not too much, not too little. In fact, I was expecting there to be more so was surprised at how pleasant the spice was. Wanting to get just the flavour of the sauce I poured a little out onto my finger and tried it without the cheese and crackers. It was so good I think I could have eaten the whole bottle! My next plan is to try this with some chicken. Chicken is one of our most eaten meats in our house and I think this sauce would make a perfect match. A bit of chicken basted in the sauce during cooking then served with a nice green salad - I think it will be perfect! I also think it will be well with steak, and with ribs, and I can see it being beautiful on a meat pizza. 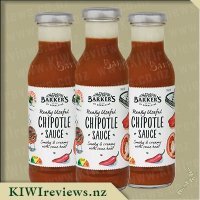 Barker&apos;s have certainly got this sauce spot on! 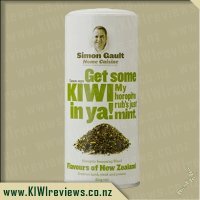 To anyone who likes a bit of barbeque and a little bit of spice this is a must try! Barker&apos;s of Geraldine is a brand that we really like in our house and we are always up for trying one of their products. 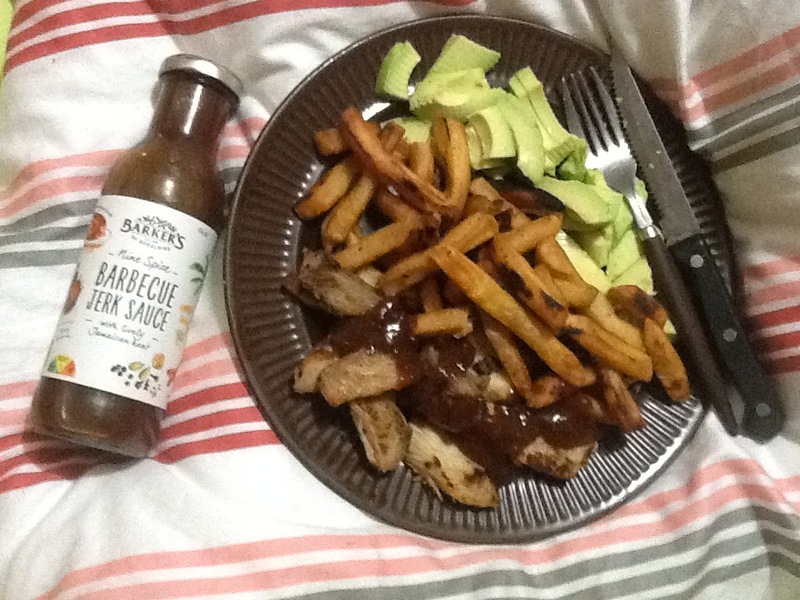 Barbecue sauce is something else that I enjoy and therefore the chance to try Barker&apos;s Nine Spice Barbecue Jerk Sauce was something that was an easy choice. My first impression was that it was spicy and I hadn&apos;t expected that. Ok...so I didn&apos;t read the label properly. It does say that it has a "lively Jamaican heat" right there on the label. I think that I got as far as seeing the word &apos;Barbecue&apos; and that was enough for me to be interested! The label also has a heat dial and this sauce is related as medium. Personally, I did find that there was a bit of heat in the sauce but I think it would be a light version of medium. Regardless, I really enjoyed the sauce! I had a few different cheeses in the fridge, so I decided to try them with the Barbecue Jerk Sauce. I tried a bit of blue cheese on a cracker and it was an interesting combination, but a bit of an overload of flavour! The smoked cheese was nice, but I think wasted with the spice taste of the sauce. The best option was the combination of plain mild cheese, the sauce and the cracker. I think that the sauce has such a great flavour that you don&apos;t really want to combine it with any other strong flavours! Tonight, we had burgers for dinner. I would typically put some tomato sauce on the pattie in the burger, however; tonight I decided to try some of the Barbecue Jerk Sauce. 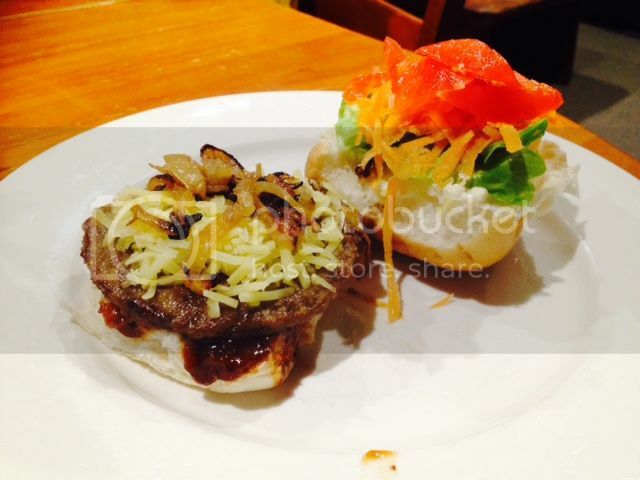 It was fabulous and gave a more sophisticated flavour to a simple meal. The kids happily had tomato sauce, while my husband and I enjoyed a bit of spice in our food. Something that I haven&apos;t tried the sauce with is ribs! I think that the sauce would go really well with them and I really must try it. The only problem is that my husband and I have been too busy over the past week or so adding the sauce to just about everything we could find, that we have only a bit left in the bottle! It went well with everything including veggies, cheese, meat, toasted sandwiches, sauce base for a pizza, burgers etc. Miss Four liked it in small amounts. 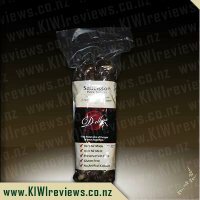 She is keen to try anything and has a reasonable tolerance for flavours that one might usually consider more for adult tastebuds. Mr Six, who has a more simple taste, wasn&apos;t interested in it at all. I think it will feature in our kitchen again and we will have to try it with the ribs next time. The price makes it a pretty attractive option too. It is an average price for sauce but this sauce is much better than your average BBQ sauce. I&apos;ll start by stating that I actually quite liked this sauce - for a BBQ sauce. That said, I&apos;m not usually a fan of really smokey BBQ flavours - I like the real thing, meat that has been smoked by the wood used to cook it, rather than a surface flavour or some ersatz chemical-laden dressing such as those found at fast food chains. So why on earth did I even take this one on? Simple - a friend told me about it and said it was one of the nicest BBQ jerk sauces she had ever tried... and that knowing my tastes, she still thought I would enjoy it. She was pretty much right. The smokey flavour wasn&apos;t sickly and cloying the way some BBQ sauces I have tried can be. There&apos;s one "royal" fast food chain who&apos;s BBQ sauce makes me feel ill if I eat it, whereas this sauce was mild yet flavoursome, with a nice spiciness to it that gave it a moderate heat but not so much as to drive your tastebuds into shock and kill any chance of actually tasting the meal. Because it&apos;s far from decent BBQ weather at the moment, and steak is something my menu just doesn&apos;t include right now, I was stumped as to how to benchmark this sauce against any others... so I cheated. I popped down the road to aforementioned fast food chain and got one of their burgers, sans BBQ sauce, and dolloped some of this on instead. Such a radical improvement, I swear I almost went back for another one. So, with that benchmark firmly in place, it was time to experiment... I tried adding it to a savoury mince dish and found it to be extremely tasty, with all the layers of flavour in the mince remaining intact, plus adding some extra dimensions to the profile - a little smokiness, a little heat, some soft flavours and a few warm notes. Mixing this with some cream cheese gave an interesting dip that went just as well with crisps as it did with vege sticks too, but I have to admit that it&apos;s not a dip I will make for myself very often - I prefer the traditional versions more. Deciding to make a smoked fish pie recently, I discovered I had run out of smoked fish fillets, so I used plain tuna and added a generous dollop of this sauce - the last of the bottle by this stage - and found that it made an excellent substitute, though my youngest turned his nose up at it, as it was "too spicy" for his rather plain tastes. Overall, an excellent pantry-staple for sure, and I have already replaced the empty bottle with a fresh one. My partner is a huge fan of barbecue sauce and will eat it anytime of the day and on absolutely anything! 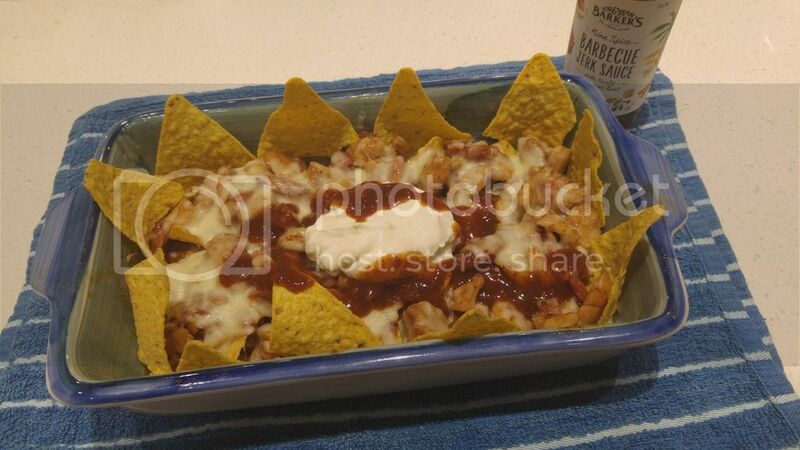 Our usual barbecue sauce had run out, and I had planned on making loaded barbecue chicken nachos for dinner and being my first time trying out this recipe, I felt that the recipe may need a thicker sauce than we normally get so that the dish wasn&apos;t to runny. I must admit I usually stay clear of all things spicy, though I don&apos;t mind a bit of a mild spice at times. After reading the previous reviews on this sauce I decided to bite the bullet and purchased the Barker&apos;s Nine Spice Barbecue Jerk Sauce as no one seemed to mention it being super spicy! The label as per all the other Barker&apos;s sauce bottles I have seen features a very eye catching label which is fun to read with small images and ideas for different ways in which this sauce can be used for example as a dip for wedges and fries, a marinade for meat or a ideal sauce to dip your sausages and steaks in at a barbecue! The label also features a heat diagram which indicates how hot the sauce is expected to be, this is rated as a medium sauce. Upon opening the bottle I was hit with a strong smell of spices, that definitely reminded me of a Jamaican dish I had eaten at a restaurant before that was very spicy indeed, I must admit this did set alarm bells for me, but I can happily say that upon dipping my finger into the sauce for a taste test I was relieved to find that it really wasn&apos;t to strong or overly spicy, and when added to other ingredients and used in cooking it became even milder and even easier to eat. The first time I used this sauce it was to make loaded barbecue chicken nachos, where I diced up some chicken breasts into small pieces and then added about 1/4 of a cup of the barbecue sauce to it. This was then layered twice with ranch flavoured Doritos in an oven dish and then topped with some diced bacon and cheese and grilled in the oven before being topped with a dollop of sour cream. The flavours were lovely and the barbecue sauce really did make the dish. Next up I tried the sauce on pizza which I topped with chorizo, chicken, bacon, caramelized onion and mozzarella cheese, again the sauce gave a great lot of flavour without being over bearing and taking over the flavours of the other ingredients. This is a sauce I would happily use in my dishes again though not one that I would use as a dipping sauce myself, however my partner has told me that like with any other barbecue sauce he would have this anytime, as he loved the touch of spice it has added to his meals! I wasn&apos;t sure how I thought this was taste when I looked at the bottle. It looked like a thick chunky home style sauce so my expectation&apos;s (from just looking at the bottle) weren&apos;t very high. Nine spices told me that perhaps it would be packed full of flavours and it might just be a bit overpowering. I cracked open the bottle and boy I was pleasantly surprised. The aroma that came out of the bottle was amazing. It smelt smoky, spicy and sweet all mixed together. I dipped in my finger to try it and I was blown away. it was most definately a smoky flavour and you could taste the spices in it. In my opinion it was a nice blend of the spices as it wasn&apos;t over powering or too in your face it was just enough. The sauce was a good consistency it wasn&apos;t super runny but it wasn&apos;t thick and gluggy. I actually used the sauce as a marinade on my chicken to put in some chicken wraps. It coated the chicken perfectly and when cooking the chicken (covered in the sauce) it really locked in the flavour. My partner asked me what I had put on the chicken as it tasted amazing. All in all a good sauce, great flavour with a nice hit of spices. it is something that I would buy again in the store and I look forward to seeing what I can try it on next! My husband has been in love with Jerk Sauce since the Multi Ethnic Extravaganza in New Plymouth followed closely by Womad the following weekend. 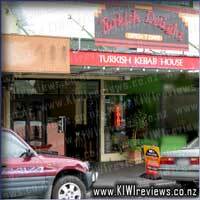 So when I received this on Saturday after vising KIWIreviews head quarters he was jumping up and down for me to stop the car and let him taste it. I should of known better for when I went into pay for petrol I came back to find the boot open and found him grinning ear to ear saying how amazing it is. We had fish &apos;n&apos; chips that night for dinner after driving home to New Plymouth and he used the sauce - actually to be honest he has used the sauce on every occasion he can think of including lunch sandwiches, my beautiful Pork Chops done in a lemon and garlic marinade he butchered it by pouring the Jerk Sauce all over it and even using it on vegetables. I do not think there has been an occasion since Saturday when this has not been used. So before it could be finished and the rest of the family missed out I needed a very fast meal last night and opted for a chicken stirfry and rice. I marinated the chicken in the Barbecue Jerk Sauce and left for a couple of hours then cooked some rice, and stirfried the chicken with corn, spinach and other left over food had in the fridge and served. My husband could not get enough of it and neither could the girls. This sauce is extremly versatile and can be used pretty much with anything. It will definitely be showing up in our fridge from now on or else I think my husband would leave me. 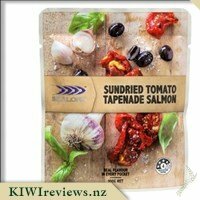 For $3.90 it is fantastic value as can be used as a dipping sauce or as a marinade. I can not wait to trial on spare ribs done in the slow cooker. 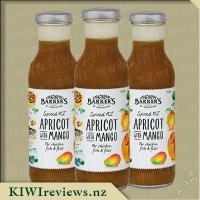 Our family really likes BBQ sauce so we were excited to try this new BBQ jerk sauce by an iconic New Zealand brand Barkers. When I first opened the bottle, I was struck by what I can only describe as an intense smell of both smoke and spices. 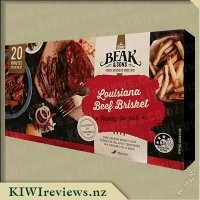 I dipped by finger in and tasted the sauce and wow, talk about tasting like it smelt, the sauce has lots of spicy tastes (the label did say nine spice), and a real BBQ smoke taste. After taste testing I thought that this sauce would be suited as a recipe base, so I put my thinking cap on and decided I would make my own version of casserole sausages. I added a beef stock, onions, roasted garlic, mixed vegetables and Barkers BBQ Jerk Sauce to sausages and baked in the oven, cooked for 1 hour stirring on occasion and totally enjoying the fragrant smells coming from my oven. I served the casserole with homemade kumara chips and without blowing my own trumpet too much...omg it was sooo yummy!! My family all raved about their dinner, with my husband asking me if buy the sauce again so I can make dish again. Next time I would use the sauce to coat the outside of my roast chicken and on BBQ ribs as suggested on the label because those ideas do sound devine. I would recommend this sauce to all people who enjoy dishes with a bit of spice without being too hot. Ah, the sauce we were most excited to try! We LOVE BBQ sauce, and have tried so many different ones but this one isn&apos;t like any we&apos;ve tried again! The smell is what hit us first... very powerful and so full of flavour! The colour looked so strong, not watery like some are. Having a medium spice rating, I was worried. I don&apos;t like spicy one bit, but this wasn&apos;t a hot spicy to me. More a flavour-some spicy which made the 9 spices really work together and none over took the others but instead are combined to enhance the others perfectly. I didn&apos;t use much though for the fear of it being too hot, but that&apos;s just an added bonus as it means the bottle will last even longer! We tried with chicken wraps first and was perfect. 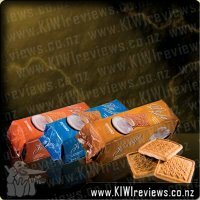 A yummy flavour with a nice texture which didn&apos;t overpower the actual contents of the wraps. Next up was to try a family marinade with this as the central sauce. Oh wow did it bring a new dimension to the marinade!!! A bit more kick than normal, but the smell was so yummy and inviting, the spice was long forgotten. Combination of 9 Spice BBQ Jerk Sauce, soy, worchester, oil, brown sugar and vinegar is now a new favourite and one we will be repeating with steak, chicken and ribs. Condiments, where would we be without them? Barbecue sauce is something that is in most people&apos;s fridges, however Barker&apos;s have thrown a nice spin on it with their Nine Spice Jerk Barbecue Sauce. The 330ml bottle is glass and easily recyclable, the label is a matte finish with the distinct Barker&apos;s styling and artwork. All of the relevant details are present and easy to read, with even the use by date in an easy to read location. The price of this range of products is fair and reasonable especially for the quality of the sauces. This sauce is gluten free however the amount of sugar is 29.2g per 100g which is moderate to high. When first opening the bottle to have an initial taste test I found that the nine spices offer a mild to medium amount of heat and a distinct, strong flavour. The sauce itself is not as thick as others, however this is perfect to use as a marinade. As I requested this product, I knew it was going to be part of a slow cooker dish in our home if I was lucky enough to review it - and so it became~! I used the sauce as a marinade for a smaller sized whole chicken, and poured extra over the chicken when placed in the cooker. The chicken paired beautifully with the sauce and cooked into the flesh very well, providing us with our sunday roast, and served with vegetables. I can imagine that this sauce would be no less than epic with fish and chips for every kiwi that likes barbecue sauce with their chips. I love a great sauce/topping and if you open up my fridge you will notice this straight away - the entire top shelf is committed to various sauce and relish bottles ready to add instant flavour to food! Therefore when I saw this sauce come up for review, I was keen to try it as it seemed a bit different to anything else I&apos;d tried - not your usual BBQ sauce. 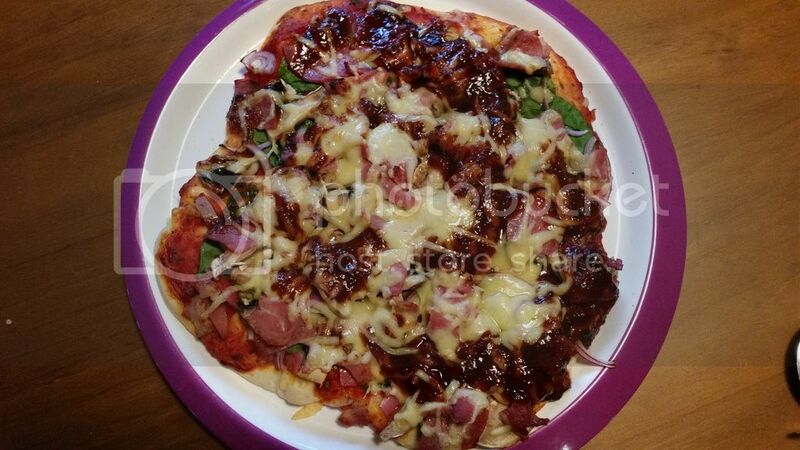 With 9 spices, and a note that it was a &apos;lively Jamaican heat&apos;, I was a bit worried my non-spice-loving husband wouldn&apos;t really like it, but I decided to bite the bullet and pop it on top of a home made pizza without testing him out on it first! I topped the pizza with salami, bacon, mushrooms and onion plus a few other things I found in the fridge and went to put a small swirl of this on the top. Unfortunately I didn&apos;t realise how fast the sauce would come out (note it&apos;s a fairly runny sauce) and the pizza ended up well and truly covered! Luckily hubby really enjoyed it and declared it the best pizza I&apos;d ever made! I have to agree that it gave fantastic flavour - you could put anything with it and the sauce would really dominate which I think is a great thing. I noticed there is a bit of heat to the sauce, but if my husband can tolerate it, then it can&apos;t be too overpowering. It advertises itself as suiting steak and chicken, so it will definitely be on the table at our next BBQ. 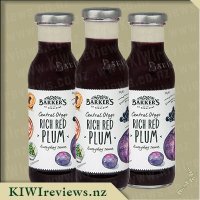 I&apos;m finding it very hard to actually describe the flavour, but if you are looking for a sauce with a bit of a difference to add some variety to your cooking, then this is a must to have on hand in the fridge.